Web Content Management (WCM) is one of the most awaited features in the Cloud Portal. In simple terms, a Web Content Management system allows non-technical users with little knowledge of web programming languages or mark-up languages to create and manage website content with relative ease. 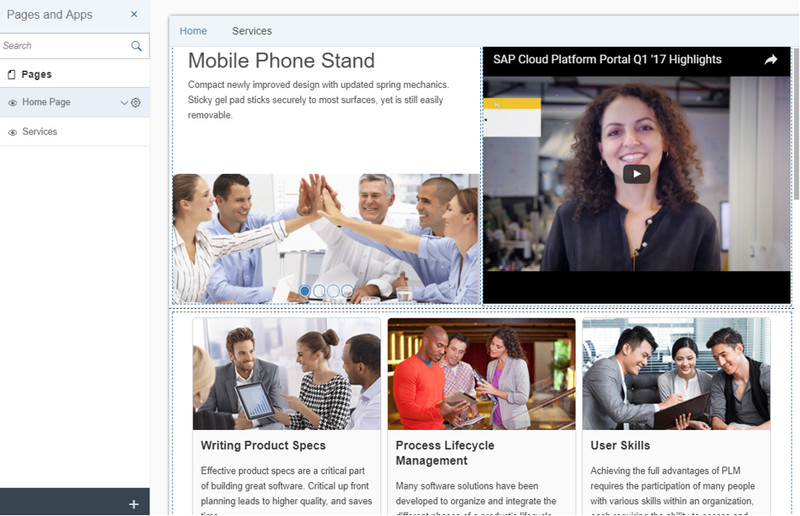 In a freestyle Portal, a widget is the basic unit of content. There are widgets available to display images, videos, rich text etc. 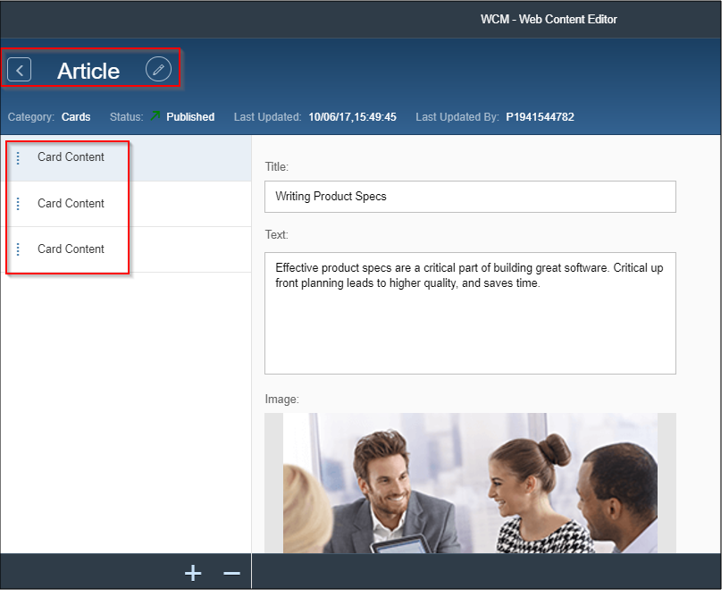 The Web content management feature of the portal now enables specific users (with the relevant access) to edit the contents of the widgets using an editor called the Web Content Editor. In this blog, I will give you a quick walk through of this new feature. In order to allow a user to access the Web Content Editor, they need to be assigned to a specific role. 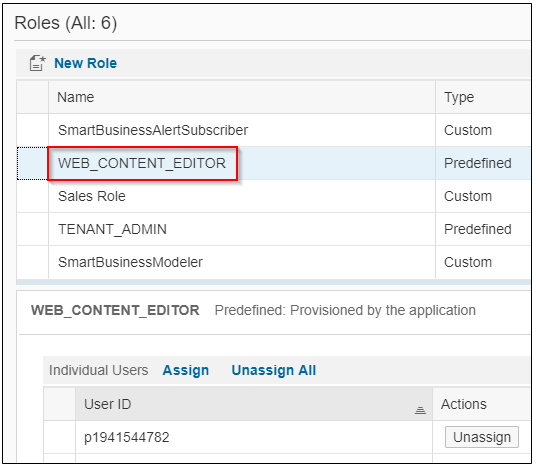 An administrator would need to navigate to roles menu from the “Configure Portal” link in the Portal service and add the role “WEB_CONTENT_ROLE” to the user as shown below. As an administrator, you would build the freestyle portal using the page templates and widgets. There are bunch of new web content widgets which are now available to use. This is in addition to the standard widgets which existed earlier. 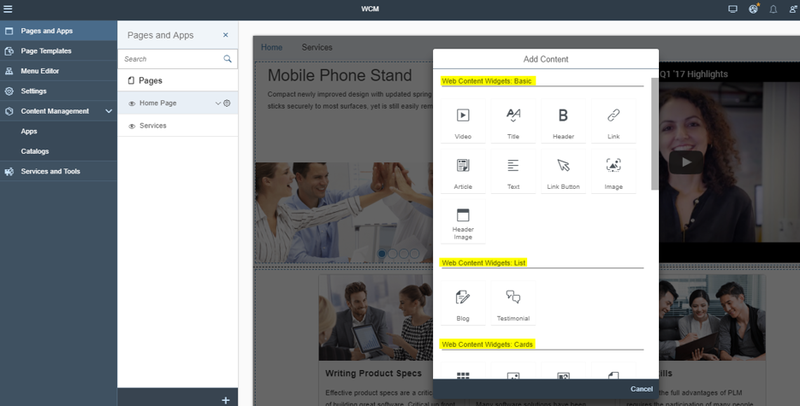 Its important to note that the Web content editor will only show widgets which are based on the new Web Content Widgets. When building the freestyle site, if you look up the widgets, you will get to see a list of all the Web content as well as standard widgets. I am assuming you know how to create a freestyle site. 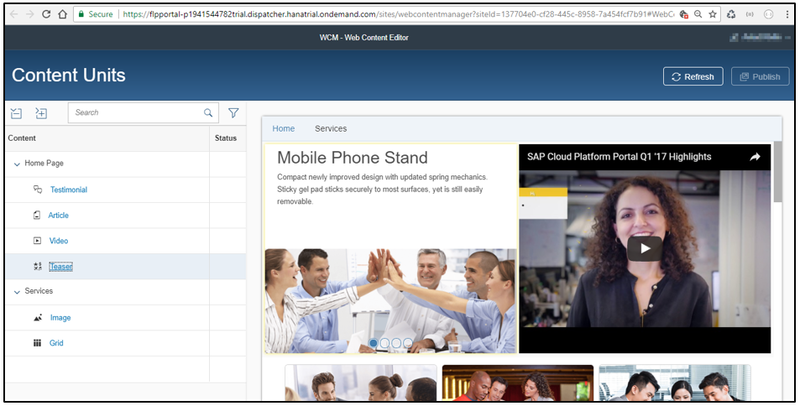 If not, please refer to this blog “Create Your Business Site with the New Release of SAP Cloud Platform Portal” by Ido Shemesh. For demonstration purposes, I have added four widgets (teaser, video, Article and testimonials) to the Home page as shown below. There are two pages – Home Page & Services. As an administrator, my role would be only to put a placeholder for these widgets in a page and hand it over to the content management team who would populate them with the relevant data and maintain them regularly. The administrator would need to generate the URL for the Web Content Editor specific to this site. In order to do this, the administrator would need to navigate to “Services and Tools” section and select “Web Content Editor”. There will be a button “Generate URL” which will generate a URL specific to the Web content management of this site. The generated URL is shown in the below image. The administrator would then assign the roles to user who oversee content management and forward this URL to each of them. This URL will take the users to the Web Content Editor. If I select the “Article” widget, it takes to me to detail screen where I can edit the contents of the article. By default, there are three cards in the article widget. I can update the contents of each card, add or remove some of the card and also rename the web content at the top. I can repeat the steps for other widgets like teaser, testimonials etc and once I am doing editing the web contents, I can save the changes and click on “Publish” button to publish the changes. I can choose to only publish changes made to the last modified widget or publish all modified contents in the site. After the changes have been published, end users will be able to see the changes in the site. Web Content Management now makes it easier for corporates to manage their portal site with ease. Before this feature was introduced, either Administrators performed the additional role of managing the contents or had to work together with content publishers. Generally, in large organizations there is a dedicated team responsible for managing contents of the portal site and this feature of WCM enables the reach of the Portal service with non-technical users who could start managing the contents of the site easily. great article… one question , is it possible to to asign a content management role by widget? for example one guy can change one content but not others…. Iris Sasson : Do you know if we an assign Content Management by role? This is not possible. Content Managers can update the content of all content widgets of a specific sites. How often do you see this requirement?